GLASS-COFFIN BONNIE, 1996, El chamanismo, el San Pedro y la mesa: notas preliminares sobre el género, el estado modificado de conciencia y la curandería en el norte del Perú, in: Actas del II Congreso Internacional para el Estudio de los Estados Modificados de la Consciencia, Lleida, España, Octubre 1994, pp.21-25. SCHULTES RICHARD EVANS, 1967, The place of ethnobotany in the ethnopharmacologic search for psychoactive drugs, in: D.H. Efron, B. Holmstedt & N.S. Kline (Eds. ), Ethnopharmacologic Search for Psychoactive Drugs, Public Health Service Publication, Washington, pp. 33-57. 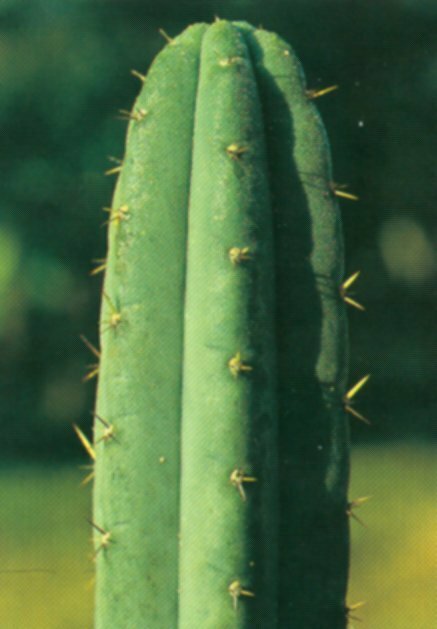 SHARON DOUGLAS, 1972, The San Pedro Cactus in Peruvian Folk Healing, in: P.T. Furst (Ed. ), Flash of the Gods. The Ritual Use of Hallucinogens, Praeger Publ., New York, pp. 114-135 + 279-294. WASSÉN S. HENRY, 1979, Was Espingo (Ispincu) of Psychotropic and Intoxicating Importance for the Shamans in Peru?, in: D.L. Browman & R.A. Schwarz (Eds. ), Spirits, Shamans, and Stars. Perspectives from South America, Mouton Publ., The Hague, pp. 55-62.